Want to feel in another world? 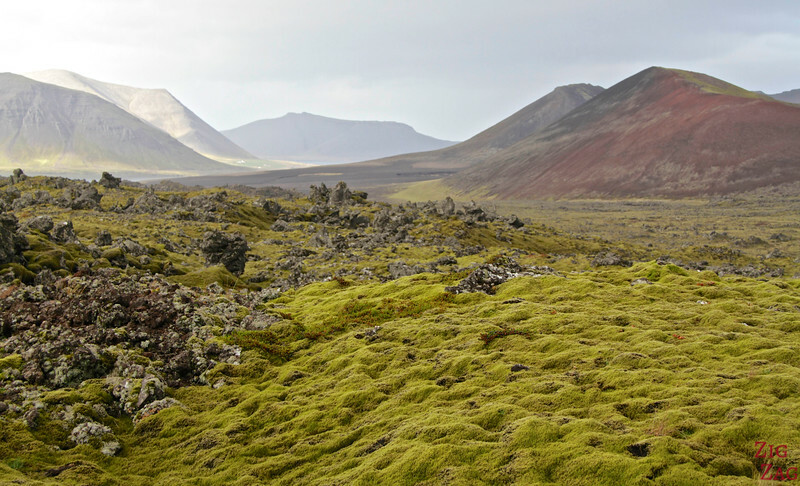 The lava field of Berserkjahraun Iceland is of my favorite places to visit in the Snaefellsnes peninsula. 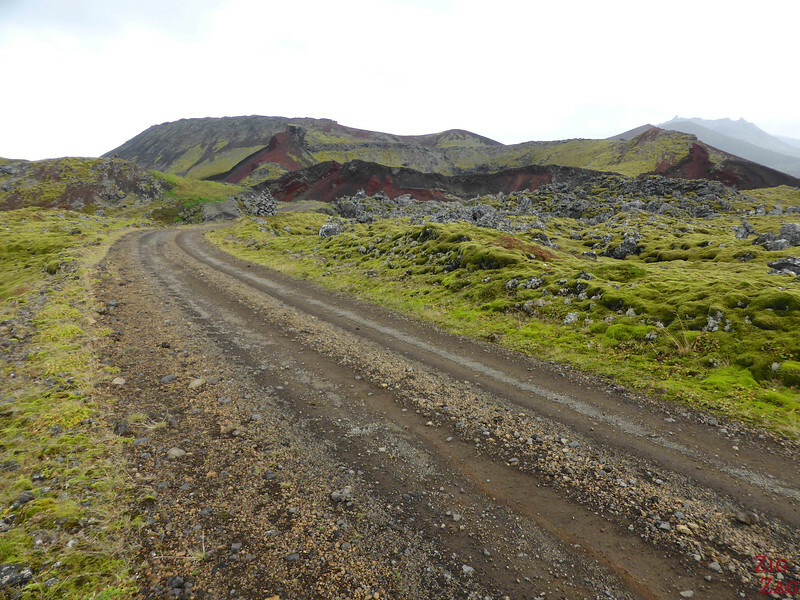 Is is a bit off the beaten track but an easy drive through between interestingly-shaped mountains and lava formations. Below is my guide to help you plan your visit with many photos of this amazing place. 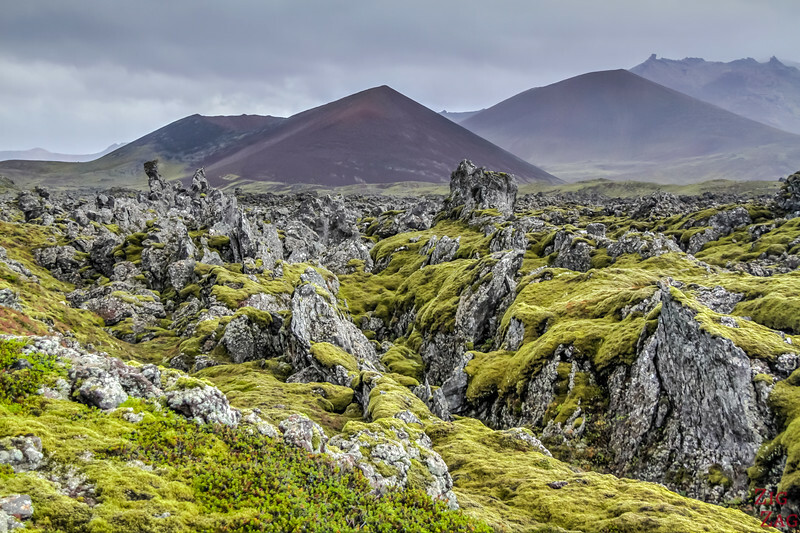 Why Visit the Berserkjahraun Lava Field? Would you go off the beaten track for such a place? 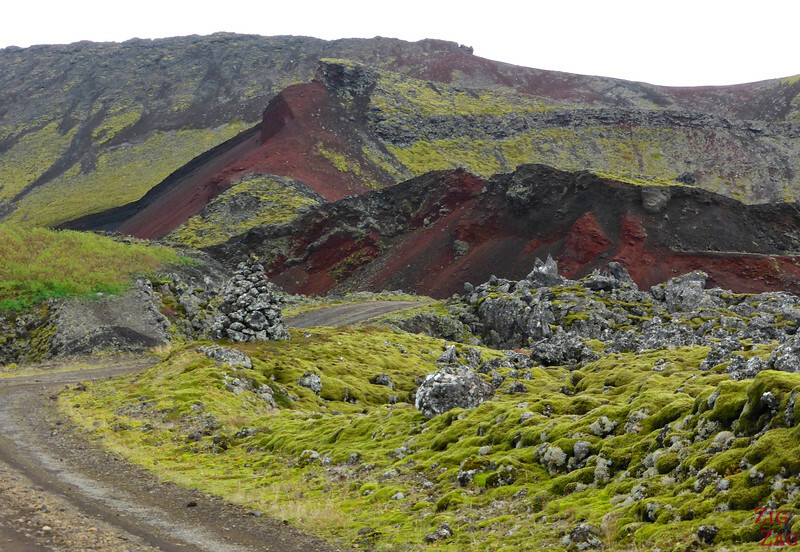 Berserkjahraun (which translate to mad-man’s lava field), is a path on the Northern part of the Snaefellsnes peninsula that takes you into lava fields from the main road circling it. 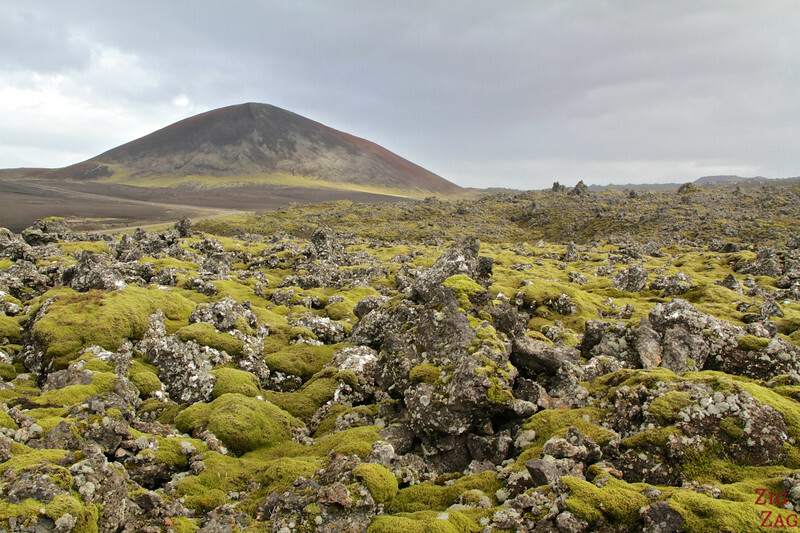 It is a place where you can observe green moss over black lava stones that vary greatly in size; all that surrounded by pyramid-shaped mountains and fjords. Berserkjahraun literally means lava field of the Berserker (Champion viking warrior who fought in a frenzy - nowadays can mean furiously violent or out of control). 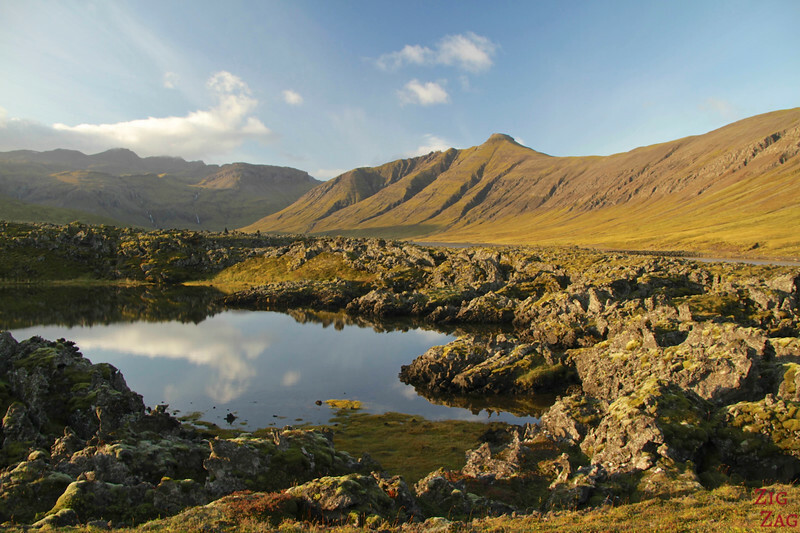 The area is the home of a famous saga with berserkers, hence the name (story at the end of the article). Note: anytime you see Hraun in the name of a pace, it means lava. How do you pronounce Berserkjahraun? 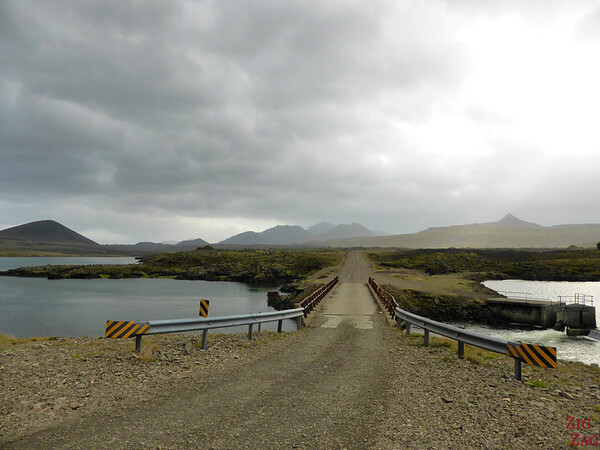 Coming from the West on road 54 from Grundarfjordur, cross the first bridge, then turn right on road 558 also called Berserkjahraun. After crossing a small bridge continue to a crossing and turn right. 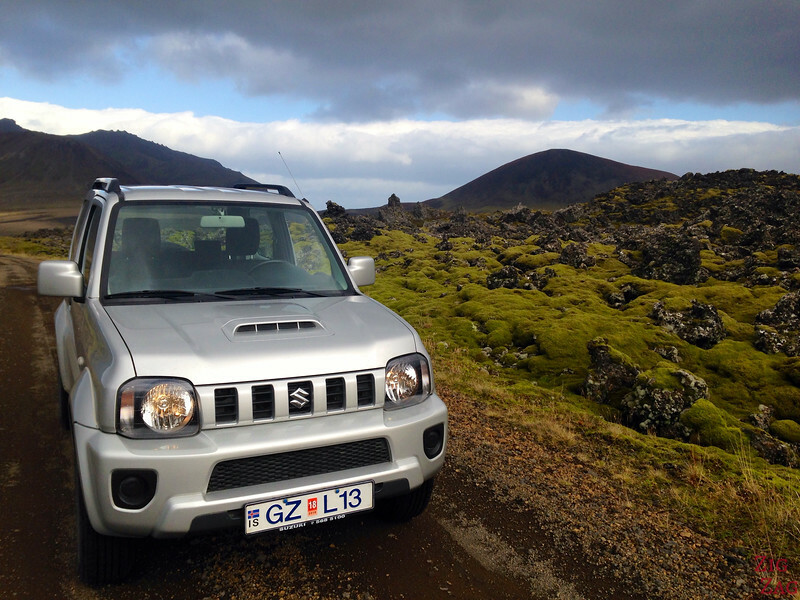 Car type - I drove it with a Suzuki Jimmy 4WD rented from Route 1 car rental and it was perfect! Check out their rental offers. A lot of the drive looks like that. Although some sections are a lot bumpier but not too bad. Of course, weather can change the road conditions, so always be careful. How old is Berserkjahraun lava filed? Four prominent craters probably erupted at short intervals approximately 3600-4000 years ago, the largest one first and the smallest last. 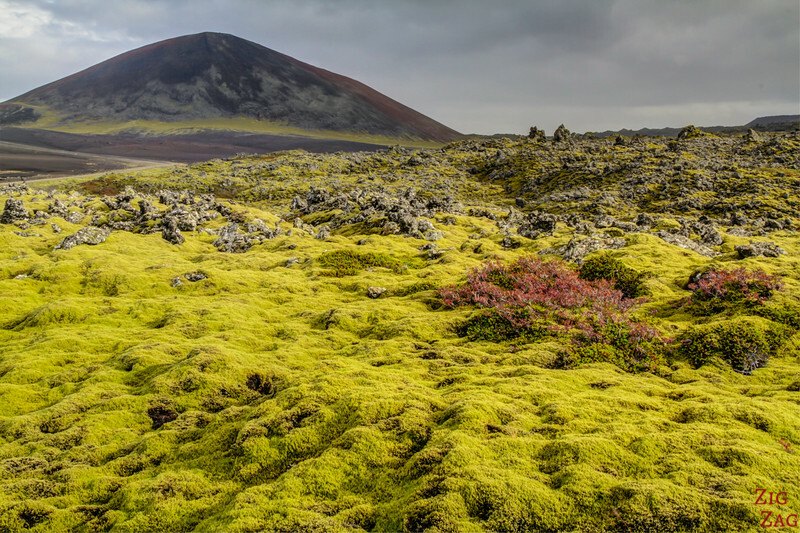 This lava field flowed between the mountain side and the sea. And when it cooled down, it created this amazing landscape that was later reclaimed by nature with moss and other plants. If driving from the West, you first encounter what looks like a lake at the beginning of the lava filed. It is actually connected to the sea. Stop near the bridge to appreciate the views. Below are some photos of the area around the Lakes​. but on the other side, the water holes and lake are surrounded by big blocks of lava! The whole drive through the lava filed is fascinating. No more instructions needed, you just keep driving and stop whenever you feel inspired. Below are a few pictures from my drive to give you an idea of what to expect. Starting with my favorite shot of Berserkjahraun with the pyramid- shaped mountains behind (and one of my favorite pictures of Iceland). You really want to check if any elves or trolls live there. Don't you? Sometimes the green of the moss does not even look real! And sometimes the rock is really red! 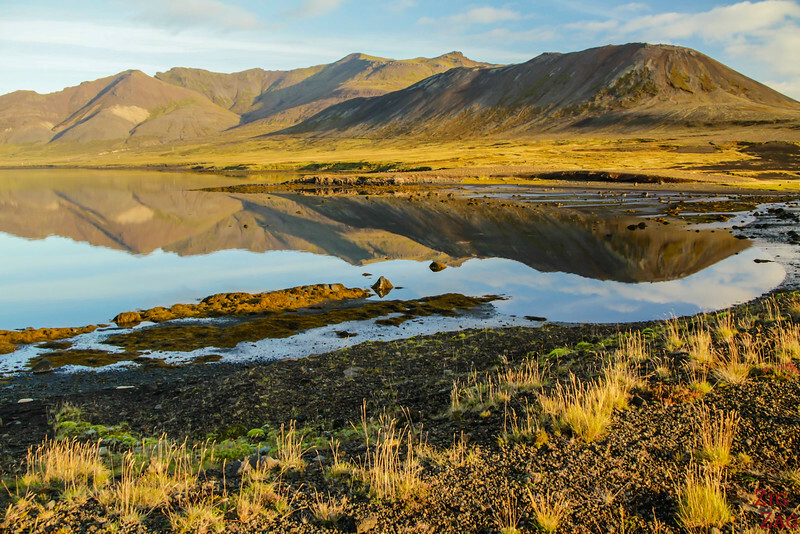 Do you see why it made to my Top 7 off the beaten path destinations in Iceland ? A 10th century farmer had brought two Swedish berserkers. Since he had problems handling the two he gave them to his brother Styr the Slayer , who was living on the other side of the lava field. After a while one of the berserkers fell in love with his daughter and asked for her hand. Víga-Styrr promised to agree only if the berserkers cleared a path through the lava field to connect his farm with the nearest settlement. The two soon finished what Víga-Styrr thought was impossible, but instead of keeping his promise he murdered them both and buried them somewhere along the path. I love Iceland, such an interesting country! We visited in winter but would love to see it in summer too! Hi Clarie, is the rood easy to drive and whether there is any steep slope next to the road? This area sounds very attractive. My plan is to spend a whole day from Borgornes to Snaefellsnes peninsular and then back to Borgornes. Do you think I will have sufficient time to visit this area bearing in mind that I will try to cover most, if not all, of the places mentioned in your website except the Gianne Waterfall and Grabok which will be covered in another day. Thanks a advice for your tips. I was stressed about that but this is an easy drive. No steep section and is was quite large, crossing other cars was no problem. If you start you day early then you can pack a lot of things especially if you are coming only from Borgarnes. Just don’t take the road to the glacier F570, this is a difficult one, which takes a long time. I was just wondering, is this considered an F road? I’ll be renting at 2WD and was wondering if it’s possible to drive this path. As you can see on the road sign there is no F in front of the number. So this is not an F-road. However be aware that the path is quite bumpy in some places. 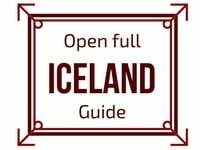 My fiance and I will be traveling to Iceland in May. We intend to get a 2WD and drive some of this road. Are there places along the road for us to pull over and get out? Also are there places for us to turn around if we decide the road is too bumpy to drive n a rental car? The road as some wider areas. I crossed other cars without any issues. At least the beginning up to the lakes should not be a problem, when you drive from the West end of the road (unless bad weather damaged the road which I cannot predict). The only question is insurance. The main issues with those roads on a 2WD is that you can get gravel on your windscreen and damage it. This is often an extra insurance on 2WD.